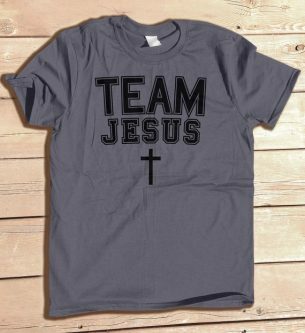 Whether your dad or another dad you know is a Christian, you will probably want to customize his gift for Father’s Day. 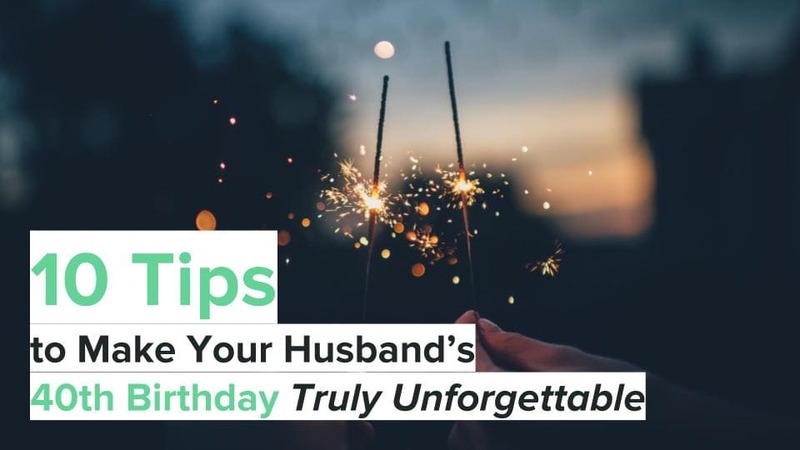 There are so many different things you can choose for him and at the same time, you want to get him something he will truly like. He is a godly man, trying to be the best father he can be, and sometimes that is a hard road. 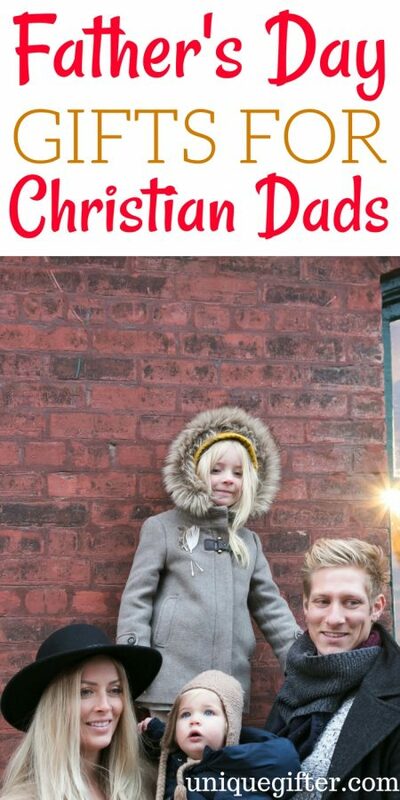 The following list has so many gifts for each Christian dad for Father’s Day, so be sure to browse each one and see which one will make your dad’s face light up! 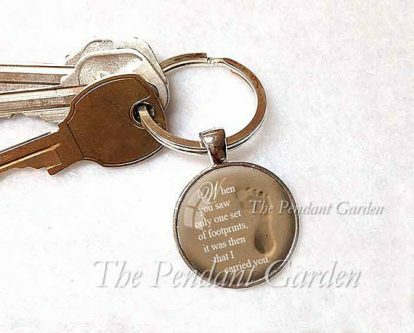 The Footprints poem is a popular poem, and this key fob will surely remind him that he is not alone, that God is with him every step of the way. When times are rough, he needs to be still and trust God. 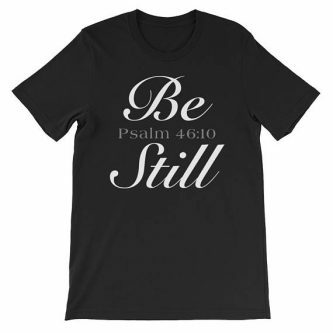 This Psalm 46:10 shirt is a good reminder of that, and might even encourage another person he comes in contact with while he’s wearing it. 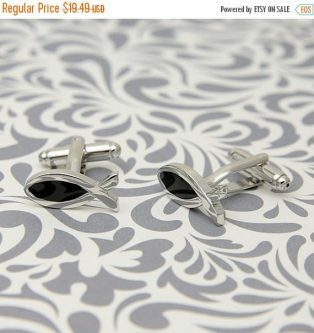 If he enjoys wearing suits to work, he will definitely enjoy these Christian fish cufflinks to go with it. Most Christians like to wear cross necklaces. 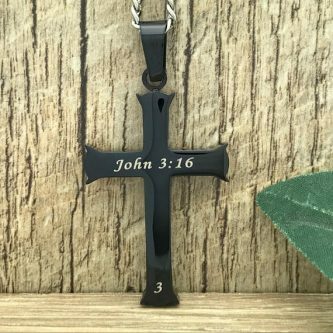 John 3:16 printed on this one is a good reminder to him that God gave His only son for his salvation. This blessed is the man wall art will look nicely in his home, office, or anywhere else he decides to put it. 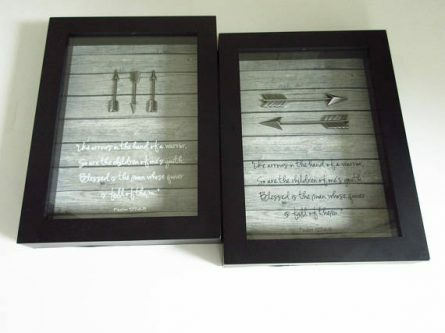 The simplest of sayings, but a phrase that will bring him comfort, on a wood block he can put up on his bookshelf or desk to look at often. He is truly an amazing husband, father, and man of God. He always does his best for those he loves. Such a short phrase to show that he is always doing God’s work, no matter where he is. 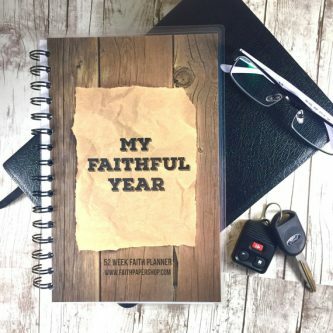 Help him have a faithful year ahead, starting this Father’s Day. 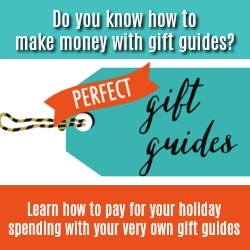 Sometimes we all need a little guidance and this planner will help him a lot as he moves forward. Your dad is your hero. 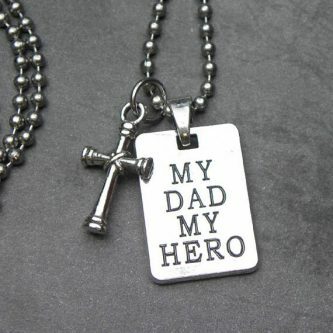 He is also your example of how to be a Christian and that makes him an even bigger hero to you. 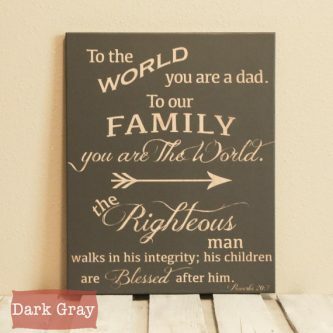 He is your dad, he is your world, and he is a righteous man who cares for his family. 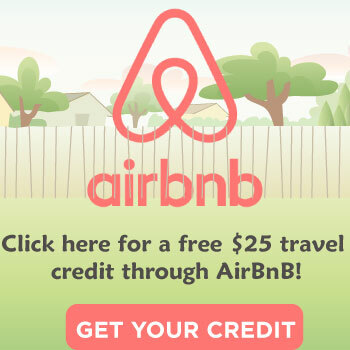 This wood sign can go anywhere and look great. 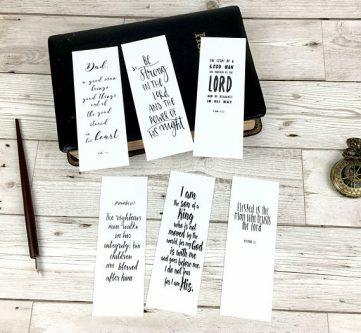 Instead of just placing any old paper in his Bible, he can use one of these beautiful bookmarks to mark his place as he reads through the Word. He is a blessed dad. 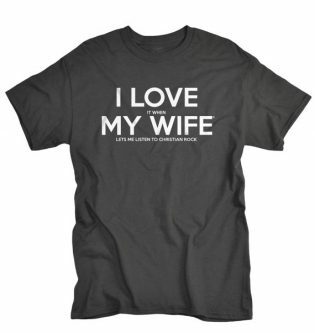 He probably doesn’t need a reminder, but he would surely like to wear this shirt with pride in his children. 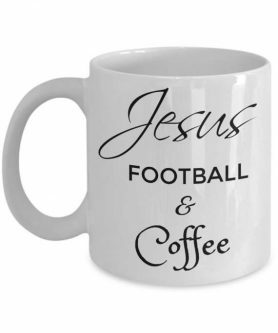 Jesus, football, and coffee are a good way to spend a day once in a while. 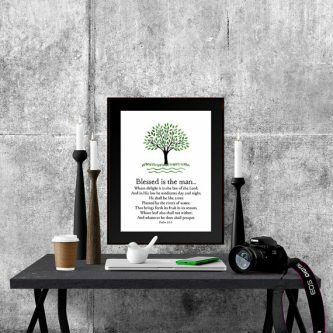 Wall art may not seem like the best gift for a dad, but he will really love looking at this Psalm 127 wall art every day. 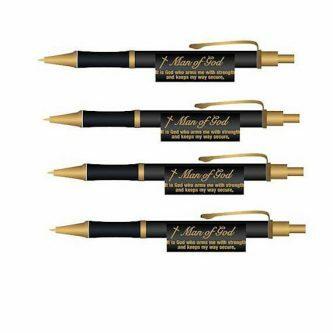 He is a man of God, and as such, he needs pens to write Bible study notes. He is your dad, but he is God’s creation. 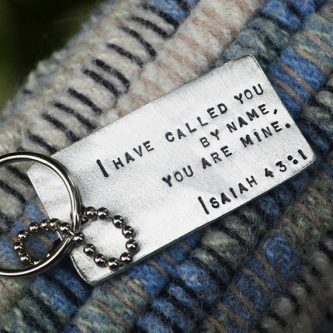 He can hold this scripture close to heart with his new necklace. 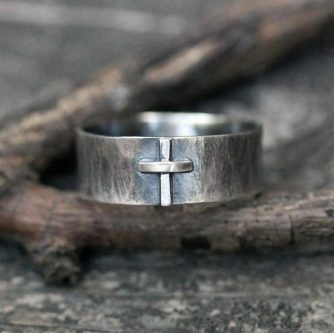 If your dad enjoys wearing rings, he will love to receive this sterling silver cross ring for Father’s Day this year. He loves listening to Christian rock, but sometimes your mom doesn’t let him, so when she does, he is ecstatic. 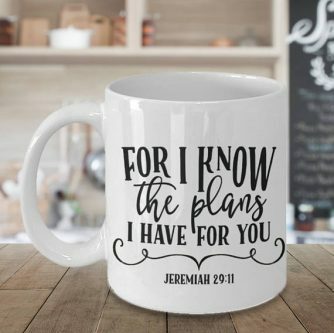 God knows the plans He has for all of us. As your dad starts his day, he may need that reminder because mornings and sometimes even whole days, can be challenging. 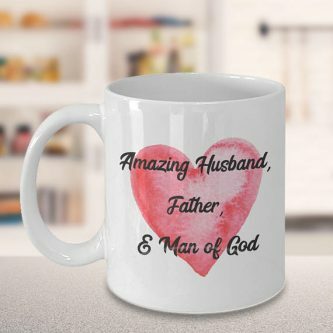 For the godly man, their Father’s Day gift will mean a whole lot more when it is a reminder of what God has done for him and continues to do.